This Lemon Hard Surface Cleaner is from the Janitorial Direct own brand. It is an easy to use product that is a fast acting multi purpose cleaner. This product is safe to use on a range of surfaces including floors, walls and paintwork. It is perfect for both domestic and commercial premises and is available to buy as a single purchase or a bulk buy option. 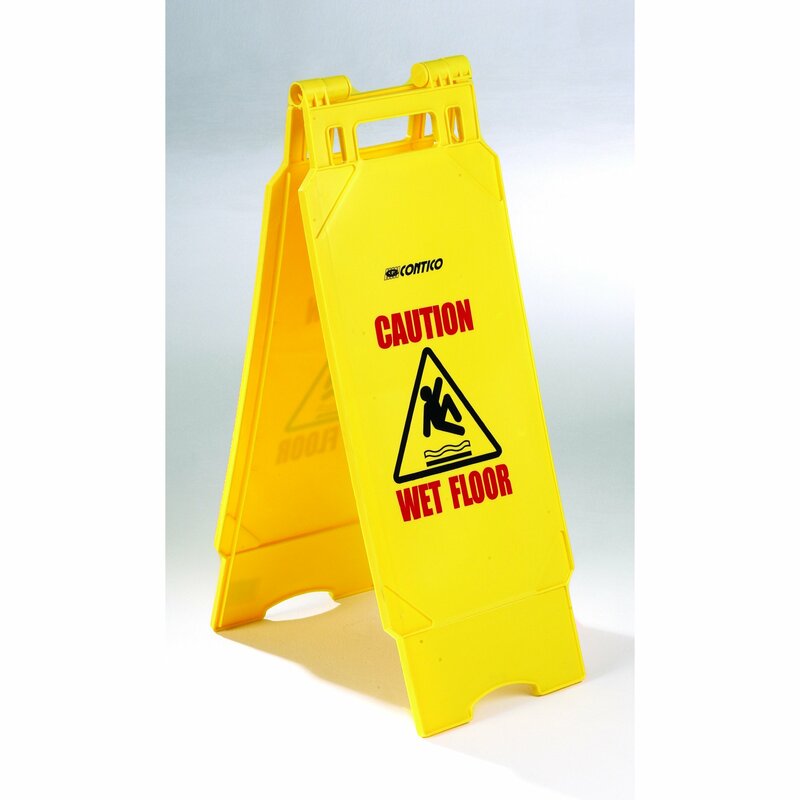 A lightweight Wet Floor Safety Sign made from highly durable, highly visible bright yellow plastic. Folding design which is able to be folded flat when not in use to enable easy storage and carrying. 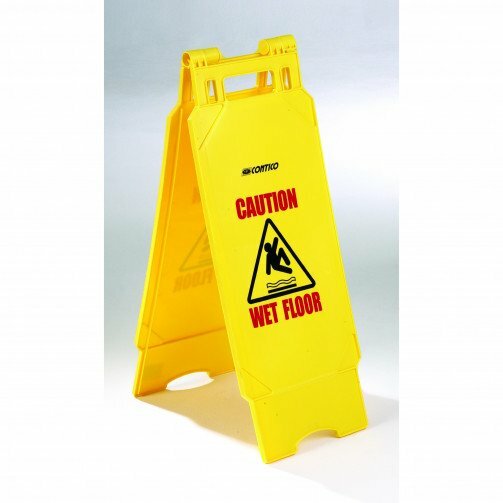 This sign is part of any organisations essential health and safety procedure for all cleaners to follow, it can help prevent accidents by making the public aware of potentially slippery floors or steps and stairs. To this end it is designed to be extremely bright and as a result of this it is highly visible. Slipping and falling accidents costs businesses millions of pounds a year in compensation, ensure you comply with the latest Health and Safety Laws. Q. Are you able to supply folding signs as blanks so that we can print our own text on them? A. Yes, we can do this- please contact our sales team on 01562 512870 for further details and cost.